Search your current plugin/theme/core files for keywords from admin. A 3rd party plugin bugfixers dream. Broken plugin? Broken theme? Bizarre error messages? How to find the problem? Track it down fast with WP BugBot, the Plugin and Theme Search Engine Editor. Lets you search your plugin and theme files for keywords from the editor screens! A 3rd party developer and bugfixers dream... find and squash those pesty bugs. Directory navigation for the plugin and theme editor screens! Search all, individual or multiple-select plugins! Where is the search interface? When the plugin is activated, the search interfaces are available: The Plugin search interface is at the top of the Plugins -> Editor page. The Theme search interface is at the top of the Appearance -> Editor page. The Wordpress Core search interface is at the top of the Dashboard -> Updates page. The PHP Error Log Viewer at the bottom of the WP BugBot admin page. Where are the plugin settings? There are some minimal options for this plugin so they are available after searching. After performing a search (see above) the WP BugBot sidebar will appear on the right. Click on Plugin Options at the top of the search sidebar to change available options. How can I edit files with unsupported extensions? Perform a search from an editor page and the WP BugBot plugin sidebar will appear. Click on Plugin Options and you will see a list of editable extensions. Add the extensions (comma separated) that you want to the list and click Save. Files with these extensions should now be editable with the Wordpress internal editor. How can I change what is not searched? Perform a search from an editor page and the WP BugBot plugin sidebar will appear. Click on Plugin Options and you will see a list of editable extensions. Add the file extensions (comma separated) here to not search, and click Save. How can I speed up the search? If your search is taking too long or timing out, generally it is because you are searching through too many plugins at once (eg. ALL) so you might need to narrow your search by using the multi-select option and searching through half or a third of your plugins at once. Also, you might want to check you server's maximum execution time limit for scripts and increase that if it is too low. Can I use the plugin with file editing disabled? Yes, if you have defined DISALLOW_FILE_EDIT as true in your wp-config.php to remove the plugin and theme editing interfaces, you can still use the plugin and theme search. BugBot will detect this is the case and move all interfaces to the core Updates page. The scroll to line feature is not working properly for me? This original feature was thanks to Andrew Buckman's Wordpress Editor Search: http://www.theoneandtheonly.com/wordpress-editor-search/ This should still work fine for legacy installations (pre WP 4.9), however as the code editor has been replaced by Code Mirror from WP 4.9 onwards, a new solution will need to be implemented for this in a future version. How do I filter the PHP error log files searched for? WP BugBot will attempt to automatically detect the setting for your PHP error log files. If you have a more complex setup or wish to change the filenames that are searched for, you can use the filter 'bugbot_error_log_search' to return an array of error log filenames. If you wish to turn this feature off (it is run on the WP BugBot admin screen only) simply use this same filter and return an empty array. 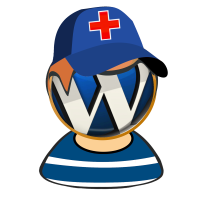 Upload wp-bugbot.zip via the Wordpress plugin installer. The search menus are added to the Plugin and Theme Editors. Core search is available via the Updates page.